The success of Disney's The Jungle Book, which employs a hybrid of motion capture CGI and live action to bring these characters to life, may have inspired a Broadway sensation to make the leap to the big screen. 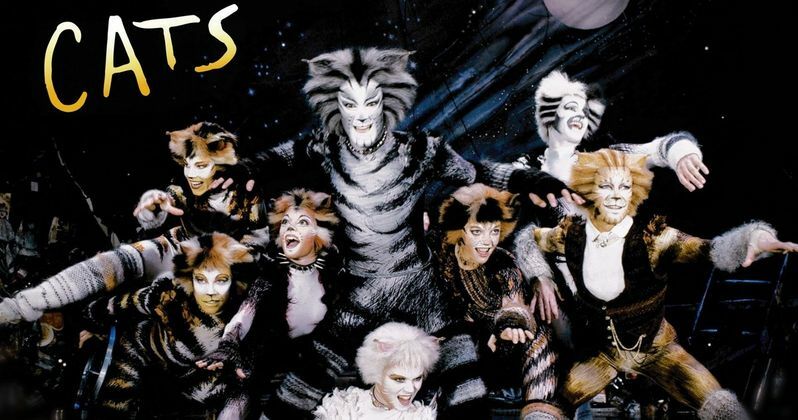 Les Miserables director Tom Hooper has signed a deal to figure out how to properly turn the hit stage show Cats into a movie. The filmmaker has only signed a research and development deal, meaning the movie isn't set in stone at this point. And even if it does move forward, it won't happen for some time. The Daily Mail reports that Tom Hooper will be working with a development team at Working Title Films, along with composer Andrew Lloyd Webber, who crafted the music for the live stage show. If they decide to move forward, nothing will happen on the project until at least late 2017, or early 2018, so we may not see this movie in theaters until 2019 or later. Here's what an executive involved in the project had to say. "Do you somehow use actors, sophisticated puppets, CGI - or what? That's the point of the exercise. We hope to be able to answer all of those questions, following a long period of research." The project doesn't have a screenwriter or any cast members in place yet, but this report reveals that Tom Hooper is re-examining T.S. Eliot's Old Possum's Book Of Practical Cats, a book of poems that inspired Andrew Lloyd Webber when he was crafting the original play before it debuted at the New London Theatre in 1981. Trevor Nunn, who directed the original play, revealed that he also studied Eliot's work, and the song Memory, which he co-wrote, were inspired by those poems. Andrew Lloyd Webber and Cameron Mackintosh produced the original play, which went on to become an international sensation. The original play centers on a tribe of cats known as the Jellicles, who make what is known as "the Jellicle choice." They decide which cat will ascend to the Heaviside Layer and come back to a new life. After debuting on London's West End in 1981, the same creative team brought the show to Broadway, where it ran from 1982 to 2000, the fourth-longest run in Broadway history. A Broadway revival is currently slated to debut this August, with Trevor Dunn returning to direct. We'll keep you posted with more updates on the Cats movie adaptation as soon as we have more details.